French telecom powerhouse Orange on Wednesday announced that Visa, LG Electronics and four more industry veterans have become allies in its program to nurture promising US tech startups. The companies have created a "Fab Force" accelerator to boost prospects of chosen startups by providing connections, distribution, expertise, resources and more. Along with Orange, the Fab Force consists of Visa, LG Electronics, Fnac, Morpho, Hilton, and Moet Hennessy. "Orange has developed a unique and respected ecosystem in Silicon Valley consisting of leading entrepreneurs, thought leaders, venture capitalists, and technology experts," said Orange Silicon Valley chief Georges Nahon. "Through Fab Force, we've now opened up this ecosystem to some of the world's largest and most respected brands who now have early access to some of Silicon Valley's most innovative startups." Having innovative entrepreneurs pitch ideas and form early bonds can freshen thinking at big, established businesses and provide chances to get ahead of "disruptive" trends that could upset long-standing business models. "In a time when brands are looking to find ways to be innovative and find the next WhatsApp, Uber, or Twitch, having a steady access to these up-and-coming startups is important so that you're always keeping track of what's happening in the industry," said Bullpen Capital managing director Paul Martino. "Otherwise, it just passes you by." Fab Force partners could even opt to buy a startup if they are keen on what it has created. Internet-driven innovation by startups has shaken up industries from news, music and games to taxi services, investing, and hotels. Orange Fab startup accelerator here is heading into its fourth season in December, making it an attractive way for established companies looking to connect with startups to "get up and running almost overnight," according to Martino. Nine startups will be at the Orange Fab offices in San Francisco as the third season nears its end on Wednesday. Approximately 300 startups are expected to apply to take part in the upcoming Fab season. The field will be culled to no more than 40, with Fab Force members meeting those innovators in person. Orange Fab will orchestrate the process, and continue to offer investments of as much as $20,000 in some of the startups that make it into the program. Fab Force partners get to alerted about the startups fitting their interests; be part of the selection committee, and attend demonstration days in held in San Francisco and in Paris. "Visa and Orange have partnered to introduce innovative ways for consumers to pay using mobile devices in both advanced and emerging payments markets," said Visa senior vice president of innovation and strategic partnerships Bill Gajda. "We are pleased to work with Orange on the Fab Force program, supporting the start-up community in Silicon Valley to accelerate the creation of new, innovative mobile commerce solutions." Orange is a leading telecommunications company, operating in 30 countries with a total of 179 mobile customers and 16 million fixed broadband customers worldwide. 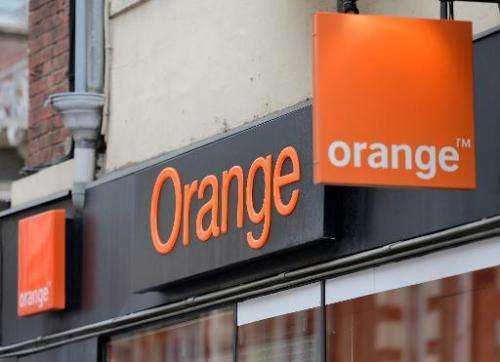 Orange reported sales of 41 billion euros last year and claimed 161,000 employees, about 101,000 of them in France, as of June 30 .